Everyone has a different way of learning. If you are an educator, you will know right away what we are referring to. There are visual learners among us and they are some of the people that have greatly benefitted from the power granted to visuals. Our technology isn’t just about the better cars that we drive or how fast it takes us to warm something that’s been cold in the fridge for hours. A lot of the time, the most drastic change that we’ve seen our technology take is through visuals! This is something that has greatly impacted conferences as a whole. It was not strange at all back then for conferences to be more about speaking rather than showing people. It was quite difficult to really render things on a digital scale. Our video technology wasn’t as advanced back then so there were a lot of errors that tended to happen on a fairly regular basis. It was quite disastrous for some instances. Back then, if a person was attending a conference, they really needed to stay silent and listen hard since discussions were often fast and everything was primarily auditory. In the world that we have now, everything is al about the visual impact. The screens that we have built for ourselves come alive in color. They also seem like they’re jumping out into our actual plane of existence. When it comes to conferences, it is no longer just about someone giving a talk. Nowadays talks can be prerecorded and can be enhanced because of the technology that we now possess. This has greatly helped people who have often struggled to keep up with discussions and panels. 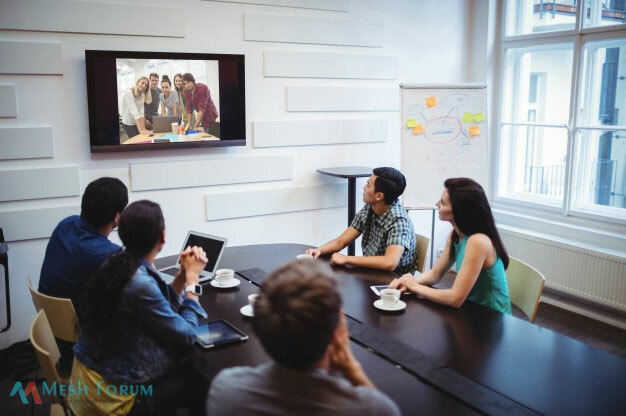 People in conferences make it a point to provide specific points of information through a digital screen so that everyone can keep up with the present point of discussion. The future of conferences is really exciting to think about. The technology of today is nice but the technology that we and our children will get to enjoy is even better. There is much focus on the land of virtual realty and even augmented reality. We feel that conferences will take a leap into the future and they will no longer just be contained to the hall that they are being held. We are truly excited for things to come—especially when the visual improvements are only going to get better. It’s not only the realm of visual which will enjoy a significant boost! We’re pretty darn sure that the audio, actual presentations and the other things that make conferences such a treat to go to shall improve as well. In your opinion, how has technology improved the realm of conferences? We’d love to hear your thoughts!